Laprotech is a world leader in innovation, technical design and manufacturing of laparoscopic instruments. Our in-house experts work on challenging projects across various aspects of surgical technology and continue to drive innovation and safety forward. 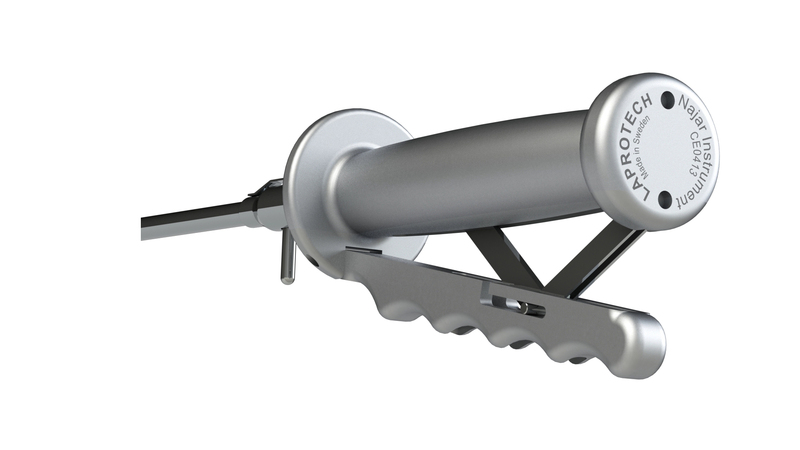 Laprotech strives to make it easy and safe for surgeons to perform laparoscopic surgery. To satisfy the need for instruments that will make the laparoscopic suturing procedure easier and safer Laprotech developed the Najar line of needle holders and clip- instruments. Laprotech distributes a first-class line of sutures developed with and recommended by top surgeons in Europe. In an effort to maintain our high fabrication and quality standards we have chosen Assut-Europe as our partner for manufacturing. The C-Block is an essential part in our laparoscopic system that will simplify the surgical procedure by eliminating the time consuming process of tying sutures. Instead of tying a knot the C-Block clip can safely be attached to the suture next to the tissue. Laprotech provides an unbroken chain from design and manufacturing, to packaging and distribution of medical equipment and supplies. For more information about our products, please use the link to our information page.